Gray is OPI's "Nein! Nein! Nein! Ok Fine!" Black is OPI's "Black Onyx"
I always do my gradients over white unless I'm using two light colors. I find the colors come out more vibrant. 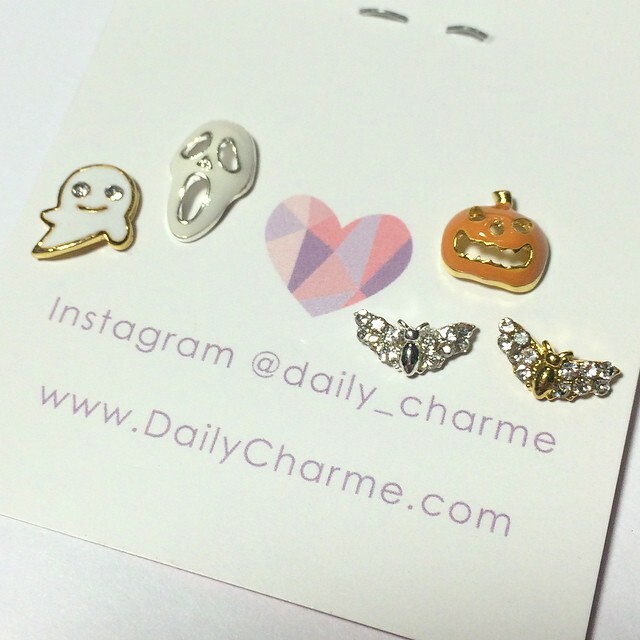 Make sure to check out Daily Charme for super cute charms! Their Halloween charms are so amazing and unique. I put a dot where I'm going to place a charm then once the glue has dried a few seconds to where it's tacky I place the charm and add glue around it and once the glue dries I put top coat around it. That almost always makes the charm stay in place to the point where I pretty much have to pry it off my nail (It doesn't damage your nail as long as you have polish as a layer between the glue and your nail). 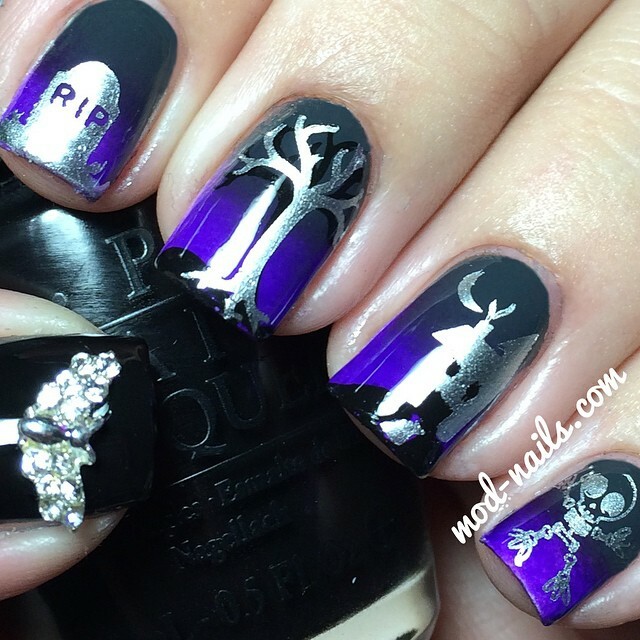 Here are just a few of their new Halloween nail charms! BLOOD DRIP GLOW IN THE DARK HALLOWEEN NAILS!